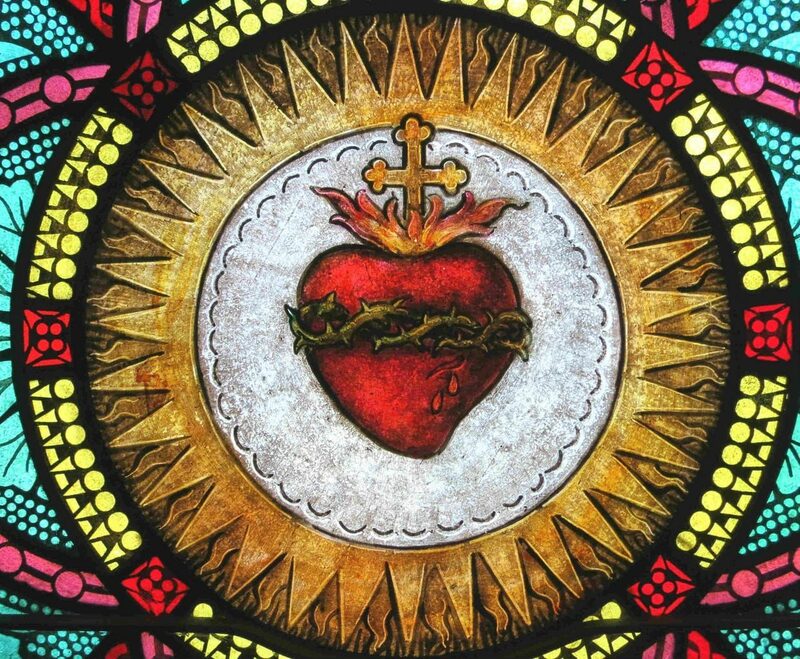 Perhaps the most common truism taught about the spiritual life is the need to journey from the head to the heart. The ancient wisdom traditions of the world teach with one voice that we need to re-awaken the heart, but how do we do that? So what to do? In this entry, I want to share with you a very practical exercise that will effectively move you into heart exploration – and train you to “go there” whenever you choose. 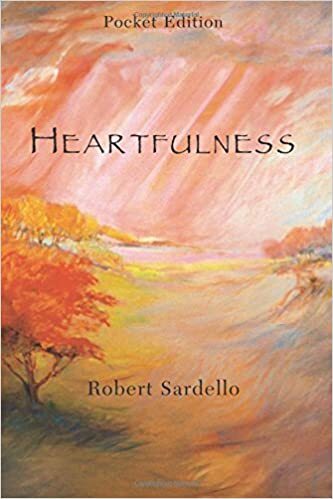 I am drawing this practice almost entirely from Robert Sardello’s brilliant book Heartfulness, excerpts of which I have adapted for you in simplified prose. Practicing heartfulness begins with physically engaging the body and heart. In so doing you will begin to “know through communion” parts of yourself rather than the normal school mode of mental distancing, perceiving your own body from inside rather than outside of yourself. It is likely that this practice will not only enliven your own bodily experience, but also intensify your sense of being in the world. Engaging the body and heart brings everything to life, resulting in a complex self-body-heart-world unity. The first shift in awareness will be from “thinking about” to “presencing with.” Rather than “thinking about” about the heart, which is an abstraction, we instead notice heart presence. We will attempt to place awareness in the heart rather than on it. This will result in an immediately given, actual, bodily present experience that is at the same time something like an invisible, subtle energy field hovering in and above the physical body. While you may feel like you are making this up, I suggest suspending normal mental reactions and simply going with the experience. The second shift involves considering this as a holy practice rather than simply a physical experience. When you hear the word “practice,” you may think of, say, playing a musical instrument or doing sports drills. You do these practices in order to get better. However, I recommend that you drop your expectation of what you might gain from this practice; instead, enter into your body as you would a temple that exudes beauty and tranquility. Step inside your body-as-temple with awe, wonder, and curiosity. With these tips in place, let’s move to the practice. “Hail to the brow!” With eyes closed, place attention between your eyebrows, right at the center, and inwardly feel an infinite sphere with unending depth that is open, free, and fluid. Remain here for several minutes, as your mind focuses, then loses concentration. With repeated attempts, your circling of attention will land for a bit longer in this region. Remain here and see what unfolds. “Hail to the throat!” Slowly slide your attention from the brow to the region of the throat. Notice a subtle inner sensation of inner movement here as your attention flows from the stillness of the brow to the holy speaking of the throat. “Hail to the heart!” Continuing the flow from the brow to the throat, now slowly move your attention to the heart region, arriving at a place where warmth, intimacy, unity and a circulation of sacredness are felt here. Allow attention to flow back to the region of the throat and the brow, and down again to the heart. “Hail to the solar plexus!” Allow attention to move to the top of the stomach toward the back. Notice attention here flowing from the heart into the very center of will. The explosive, outward “I will” is now felt as the power of pure receptivity. Finally, allow attention to slowly and rhythmically flow upward through each center and downward. Aligning these sacred body centers retrieves us from scatteredness on the one hand and excessive focus on the other. Notice how we feel centered, “here,” fully present within a pervading, always-present silence as you conclude the practice. This practice will help you realize that “presencing” the body results in vivid descriptions that change over time. This practice of heartfulness seems to intuitively lead to an opening of the mind, heart, and will, which is strikingly similar to this visual description from MIT Media Lab’s Presencing Institute led by Otto Scharmer. This contemplation establishes us as “here”, a “here-ness” felt from within, permeating our being. We realize how scattered we usually are, mistaking such ongoing disruption as the natural way of being. The felt sense of this practice changes with repetition, suggesting unending worlds of experience. When our contemplation ends and we open our eyes, this bodily sense – along with our sensory perception of the world – becomes the most important aspect of the practice. Notice how the immediate world now appears different – more real, a feeling of unity with our surroundings, the felt experience of the interiority of all that surrounds us, the livingness of everything – in unity with our awareness. Such noticing may be fleeting and momentary, but these nanoseconds of a new experience open us to creativity and resilience beyond our habitual autopilot. This gives new immediacy to the idea of inner growth. I hope that this practice will open you to a whole new way to understand the intelligences of the body and the heart. The world’s wisdom traditions tell us that in order to be an evolving human being we need to open a flow between our bodies, minds, and hearts. With HKIS fully taxing your mind, there seems little time or energy to explore your body or develop your heart. This body-heart concentration practice will provide a corrective to this deficit in your education. It is hoped that you will discover a grounded dynamism in which your body and heart attempt to break through to your conscious mind. Give it a try and see if neglected aspects of yourself can teach you the wisdom that you seek. Sardello, R. (2015). Heartfulness. Gainesville, Texas: Goldenstone. * We do have a few classes at HKIS that provide an alternative. Students in Humanities I in Action, for example, have told me over and over again that the class helped them combine the mind and heart with a daily dose of concern for others, but in subsequent years, that meaningful combination of study, empathy and action is usually lost under a tsunami of academic pursuits. This entry was posted in inner awakening and tagged meditation, mindfulness, spiritual practice, teaching spirituality. Bookmark the permalink.